There are those who wonder what to combine Galapagos with, and others asking what to do besides Machu Picchu. Why not both? These two destinations are so compatible – both operationally and as an experience for the traveler – that it has become one of the most popular multi-destination holiday. It is a perfect fusion between inspiring and adventurous travel experience; perfect for honeymoons or a luxury travel. These are the very best of Ecuador and Peru. A tailored experience between Peru’s breathtaking ruins and landscapes, contacts with indigenous cultures in the awe-inspiring Ecuadorian highlands, and an island-hopping adventure in the “living laboratory” while enjoying the elegant sophistication of the archipelago’s finest hotels. Your travels will begin in the Ecuadorian capital of Quito, situated high in the Andes at the foot of the Pichincha Volcano. Declared the planet’s first “World Heritage Site” by UNESCO, this charming and vibrant city has a beautiful colonial quarter, with narrow cobbled streets and a wealth of churches and museums. Stay at the exclusive and elegant boutique Patio Andaluz Hotel, located in the historic heart of the Ecuadorian capital. While staying in Quito, we will head north through stunning mountainous scenery to the indigenous market town of Otavalo, which is home to Ecuador’s largest indigenous-run market, and one of the best known in all of Latin America. From all this tour of Quito and its surrounding areas, you’ll see why mainland Ecuador is much more than just an add-on destination to a trip to the Galapagos Islands. After a couple days of sampling the colorful culture of Quito, you will fly to the almost mythological Galapagos Islands, which were the catalyst for Charles Darwin’s spectacular breakthrough in the human understanding of biology. For five+ days, you will swim and snorkel among some of the richest marine life on Earth, become transfixed by the wealth of birdlife that populates stunning forests, and come face-to-face with the 150-year-old giant tortoises that symbolize this living laboratory of evolutionary change – an experience that will undoubtedly inspire you to think differently about our world. The next leg of your journey will be to the intoxicating and heady nation of Peru, where our principal goal will be to experience the glorious Inca citadel of Machu Picchu. Along the way, though, you will visit a number of astonishing sites in this “land of the Inca.” We will land first in Lima (Peru), which – while substantially modern – evidences a civilization that dates back millennia, not to mention a culinary tradition that ranks this capital as one of the world’s best cities for gourmet dining. Other visits in the Peruvian Andes will take us most notably to the city of Cusco, which is fused with the finest colonial and religious splendors of Spanish conquest, and later to the Sacred Valley, where the Andean countryside is dotted with indigenous villages, high-altitude hamlets and stupefying ruins. Just in case, if you are in your honeymoon, ask us about the blessing ritual of Pachamama. All of this leads up to the country’s biggest draw: Machu Picchu. For most people who travel to South America, a visit to this “Lost City of the Incas” is the much-anticipated highpoint of their trip. The best-known archaeological site on the continent, this awe-inspiring ancient city clearly retains its air of grandeur and mystery, and is a must for all visitors to Peru. Our Galapagos and Machu Picchu combination tour is in itself a luxurious experience. 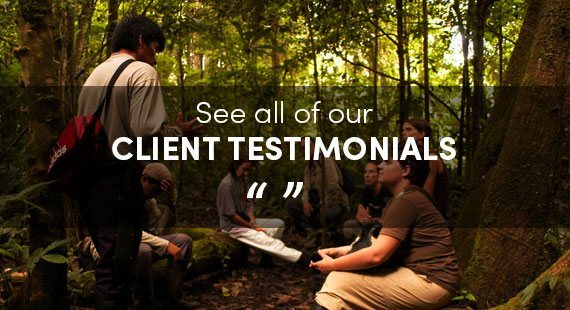 We deliver an insightful program that makes the most of your time and energy (even when “recharging” such energy). So share with us what you are looking for; we may have just the right thing for you! Upon your arrival in Quito — the capital of Ecuador, situated in a dramatic mountain setting at 2,800 meters above sea level — you will be welcomed by our guide and driven to your hotel to rest and acclimatize to the city's high altitude. On this one-day city tour, we will visit the historic district of the Ecuadorian capital, enjoying this urban jewel and its artistic and architectural treasures. One of the largest and best preserved colonial centers in South America, Quito’s “Old Town” area was declared the first “World Heritage Site” by UNESCO, in 1978. The visit to the historic center begins with the Basilica del Voto Nacional, one of the largest churches in Ecuador and one of the most important works of Ecuadorian neo-gothic architecture. While the outside of the building stands out for its stone carvings that represent plants and animals of the country, the inside consists of 24 chapels. Beneath the structure are crypts in which lie the remains of several former presidents of the republic, and on top of the 100-meter-tall church is a beautiful gazebo that also serves as a small cafe. We will continue on to the always vibrant Plaza Grande (“Independence Square”), which is surrounded by the Cathedral, the Presidential Palace, the Municipal Building and the Archbishop’s Palace. We will then visit the church of the “Compañia de Jesus” to find its impressive interior inlaid in gold. Your tour of historic Quito will end with a birds-eye view of the city from the panoramic “Virgin of Quito” monument atop El Panecillo Hill, which overlooks the capital. 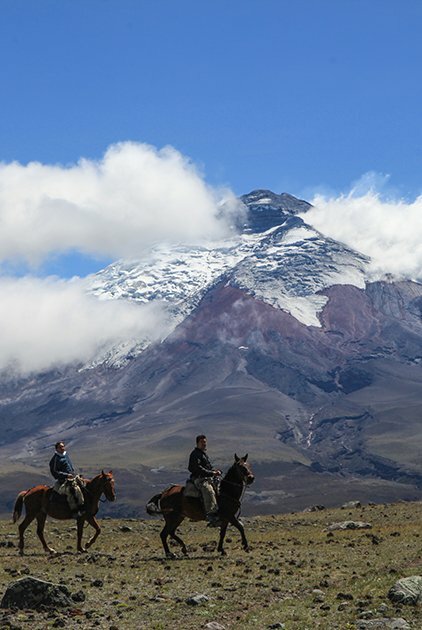 This will give you a chance to appreciate Quito from above, and – if the weather permits – to catch a view of the spectacular “Volcano Avenue,” two parallel mountain ranges containing eight of the country’s ten highest peaks. From here, we will continue our journey 15 miles north of Quito to the Mitad del Mundo (“Middle of the World”), the monument on the equator that was built to commemorate the French scientists who in the 1830s made history by determining the shape of the planet thanks to their studies at this location. Next to the monument is “Middle of the World City,” a village built in a colonial style – with a main square, a church, a post office, a bullring, restaurants and several souvenir and crafts shops. The highlight of this visit is the equatorial line running along the latitude of 0° 0’ 0.” Here, you will be able to stand with one foot in each of the earth’s hemispheres – a great photo op! Lunch will be at one of the excellent restaurants in either Quito’s historic district or near the “Mitad del Mundo” equatorial complex. For logistical reasons, on Sundays we will visit the Mitad del Mundo complex in the morning and Quito’s historic district in the afternoon. In the morning we will begin this trip from Quito, heading north along the Pan-American Highway and making a brief stop in the town of Miralago for a superb view of Lake San Pablo. During this stop, you will also have a chance to taste delicious bizcochos, a type of cookie or bread baked in a clay oven and covered with local cheese or caramel sauce. From there we will head to the town of Otavalo, home to Ecuador's largest indigenous market and one of the best known in all of Latin America. The market sets up every day, allowing you to spend a few hours wandering through this bustling handicrafts center, in addition to its food stalls. 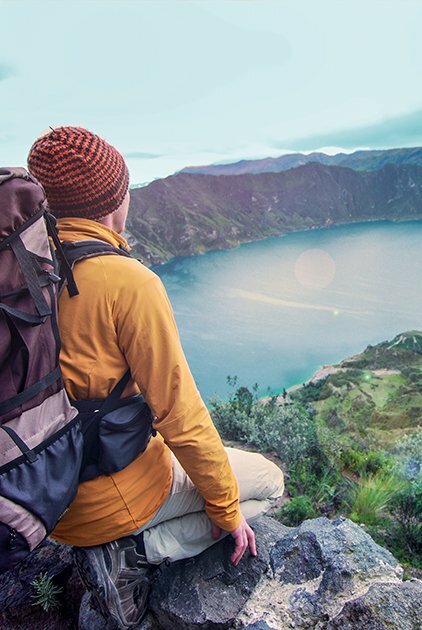 Later, it will be up to you if you'd like to go for a short hike around beautiful Cuicocha Lake or do a bit more Otavalo shopping and people watching. We can also visit a family of weavers who not only have amazing wares but will actually demonstrate how they weave on their traditional back-strap looms and show you how they make striking colors from local plants. Around the corner from there lives a family of musicians, where you’ll get a feel for Andean music and watch as perfectly tuned Andean flutes are crafted in minutes. Upon arrival in the archipelago at Baltra airport, we will travel by shuttle bus to the Itabaca Channel, followed by a 5-minute ferry ride to Santa Cruz Island and then an hour’s drive to the town of Puerto Ayora. En route, we will stop at a Highlands Reserve to see amazing Galapagos giant tortoises in the wild. You will also have a chance to walk through lava tunnels before having lunch at a local restaurant. 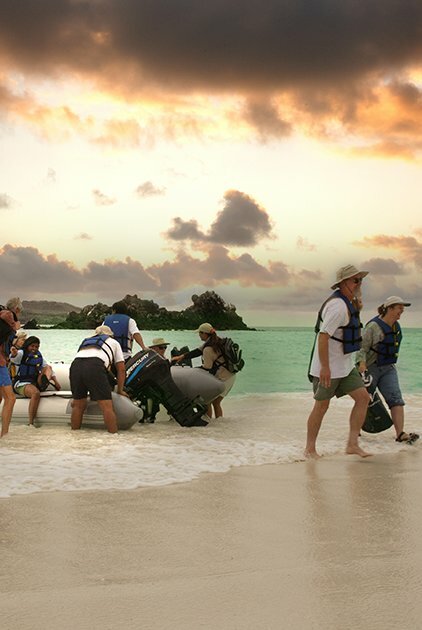 To protect the fragile environment of the Galapagos Islands, the park administrators control the flow of visitors to the various islands. Consequently, just in case one site reaches is visitor limit for this day, and therefore becomes unavailable for us to visit, we are proposing four alternative sites for day five. Departure: 6 a.m. bus pick up (approx.) Travel time: After being picked up from your hotel, a 40-minute bus ride will take you across the island to the Baltra Channel, where we will embark onto a passenger boat that has a restroom and plenty of room to relax for the 2-hour journey to Bartolome Island. The Tour: The tour begins with a hot breakfast on board the boat, along with a short introduction and tour briefing by a National Parks-accredited bilingual (English/Spanish) guide. Once we reach Bartolome Island, we will disembark and take a short 40-minute walk up to the 114-meter-high summit of the island. The dramatic views here make this a fantastic spot for group photos. The trail leads through a wild and otherworldly moon-like lava landscape, a walk that advances along a wooden boardwalk built to protect visitors and the erosion of the trail. A hot lunch and refreshments are provided back on the boat. After this, you will have a chance to go snorkeling in a small sandy cove in which you can try to keep up with the speedy Galapagos penguins there. Numerous varieties of colorful reef fish, green sea turtles and various rays are also often spotted around this snorkeling site. The best way to photograph the penguins, however, is during the ride in a "panga" (a small boat), which will take you close to the rocks and around Pinnacle Rock. It's possible to get within 3 or 4 meters of the birds while they look on, seemingly uninterested in your fascination with them. A light snack will be provided on the return trip to Baltra Channel, where the bus will drive you back to your hotel. Return: Approx. 5 p.m.
(*) Plazas Islands consists of two small islands just off the east coast of Santa Cruz Island, though visitors can only visit the southern island. (*) North Seymour Island — 1.9 sq./km and located approximately 7 km north of Baltra Island — is the site of one of the largest and most active sea bird breeding colonies in the islands. It is a very dry island with no natural sources of water, leaving the animals, namely land iguanas, to rely on the succulent flowers of the cactus plants for nourishment. Whatever time of year, there is always some kind of courtship, mating, nesting or chick rearing to observe. Departure Time: 8:00 a.m. bus pick up (approx.). Travel Time: A 40-minute bus ride, followed by one and half hour boat ride. The Tour: Upon your arrival on the island, you will be treated to a raucous welcome by the local sea lion colony. Following your naturalist guide, you will walk along a trail that will lead you to Santa Fe Island's main attraction: a towering forest of giant cactuses. Scattered around these cacti trees you'll see a number of the island's indigenous sun-seekers, including marine and land iguanas, as well as rainbow-streaked lava lizards. If you're lucky, you may even spot land tortoises - the island's namesakes. After the trek, you'll be able to plunge into the cool sea and snorkel in the company of sea lions, Lion fish and sea turtles. (*) Santa Fe Island (its English name is “Barrington Island”) is a 24 sq. km. islet that lies about 20 km. southeast of Santa Cruz. Quite popular for day trips, there is good anchorage in the attractive bay on the north side of Santa Fe. A short 300-meter trail will take you to one of the tallest stands of opuntia cactus on the island to find more land iguanas. Other attractions include a sea lion colony, excellent snorkeling, marine iguanas, and of course tropical birds (Blue-footed boonies, Frigatebirds, Galapagos gulls). After enjoying your included breakfast at the hotel, the morning’s adventure will start. We will go on a trip to Tortuga Bay, a white-sand beach stretching alongside natural emerald-green ponds filled with thousands of colorful fish. It’s also common to see turtles, marine iguanas and pelicans. After lunch, we will leave for to Isabela Island by speedboat, a voyage of about 2-1/2 hours, depending on sea conditions. Upon our arrival, you will check in at your hotel and still have time to leisurely explore the town. Following breakfast, we’ll head out for the Sierra Negra Volcano. After driving to the highlands of Isabela Island, we will start hiking up the slopes of the volcano to the edge of its crater. The Sierra Negra — reaching an altitude of around 1,500 meters, and having an outer diameter of approximately 9 kilometers — is the second largest lava dome in the world. We will hike along the cone to the resting place on its northeast side. We will have lunch at Campo Duro, which is a charming organic farm whose owners prepare their food with locally grown fruits and vegetables. Cooked on a lava-rock grill, you can enjoy a delicious lunch that will be followed by a walk through fruit tree trails. Or, you can opt to just take a nap in one of the camp’s hammocks and breathe the clean, pure air beneath a huge Mango tree. In the afternoon, we will visit Las Tintoreras, taking a short boat trip across Isabela Island’s harbor. After passing the sea lions and pelicans that bathe in the sun on the fishing boats there, we will reach the small island of Las Tintoreras. Here, we will take an easy walk through the bizarre lava landscape with its huge colonies of marine iguanas. A colony of sea lions also live here and it’s common to see whitetip reef sharks resting in the water near the shore. The views from here will be memories that you’ll carry for the rest of your life! The treacherous black lava field, the emerald green sea, the red mangroves, and the cloud-capped volcanoes of Isabela Island create an afternoon backdrop you’re not likely to ever forget. We will head out on an early morning departure (6 a.m.) to Santa Cruz Island. Upon arrival, we will visit the famous Charles Darwin Research Station. This center includes an information center, a museum, a library, and a tortoise breeding station. Park rangers and park managers — along with others who make tremendous efforts to preserve this UNESCO World Heritage Site — work here for the conservation of the islands. In the tortoise breeding center, you can see tortoises of different subspecies that are being prepared for reintroduction into their natural habitats. Enjoy your last look at these “enchanted islands,” a unique and wondrous paradise! You will then be accompanied to the Baltra airport for your return flight to Quito. (*) Note: Depending on sea conditions and the schedule for the flight departing from Baltra airport, the visit to Charles Darwin Station will be scheduled for the first or last day. After breakfast, we will transfer to the airport for your connecting flight to Lima. Upon your arrival at the international airport in Lima, our representative will welcome you and provide you with all the needed assistance. From there, you will be driven in a private vehicle to your hotel, where all of the services included in your tour package will be explained. After that, we will go to a traditional tavern for you to sample some of our fine liquors — including various mixes of our famous Pisco Sour — and learn how to prepare Peruvian cocktails yourself. In addition, this culinary tour will introduce you to the tastes of traditional “anticuchos,” refreshing “chichamorada” and our sweet “picarones.” In the afternoon you will be driven to the airport for your domestic flight to the ancient city of Cusco. Free morning. In the afternoon, we will walk the city of Cusco on a guided sightseeing tour. During this excursion, we will visit the Main Square, the Cathedral, and the Temple of the Sun (or “Koricancha”). We will then we drive out of the city to visit the Inca sites of Qenqo, Tambomachay, and the impressive Sacsayhuaman fortress, as well as take in the panoramic view of the ancient Puca Pucara military ruins. Transfer to your hotel. After a lunch buffet in the Sacred Valley of the Incas, we will travel through the scenic mountains of Calca and Urubamba en route to the Ollantaytambo fortress, built to guard the entrance to this part of the valley and protect it from possible invasion from jungle-based tribes. Overnight in the Sacred Valley. After breakfast, we will drive to the train station for your locomotive journey to the town of Aguas Calientes. From there, you will take a 30-minute bus ride up to the citadel of Machu Picchu. At this UNESCO-declared World Heritage Site, which is also one of the “Seven Wonders of the World,” you will begin your tour of this 15th-century Inca site situated at 2,430 meters (7,970 ft.) above sea level. Here, you will be able to admire its steps, temples, sanctuaries and terraces. There is still no known explanation as to how the Incas could have moved 20-ton stones to the top of Machu Picchu, which adds to making this a uniquely wondrous and spiritual site. We will have lunch in the afternoon and later return to the hotel.